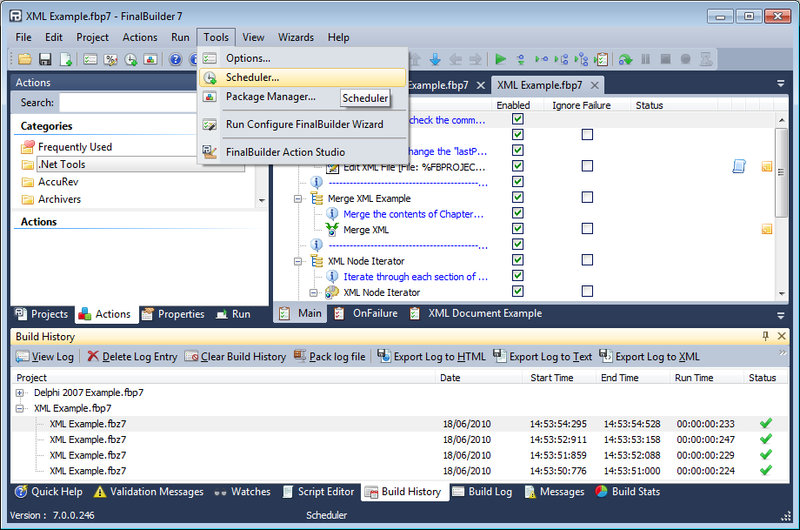 FinalBuilder provides tight integration with the Windows' scheduling service which enables you to schedule daily and nightly builds. 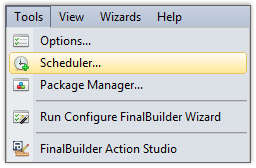 Create a scheduled build by opening a project in FinalBuilder and clicking the Tools | Scheduler menu item. The Scheduled Builds window will open and display the currently scheduled builds and their status. Clicking on the New Task button in the Scheduled Builds window invokes a wizard to guide you through scheduling a build project. For more advanced control over the schedule, you can edit the scheduled task using the windows scheduler editor by clicking on the Edit Task (Advanced) button.